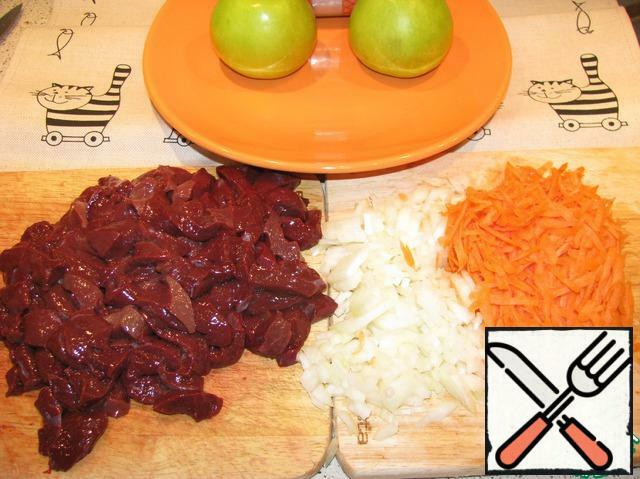 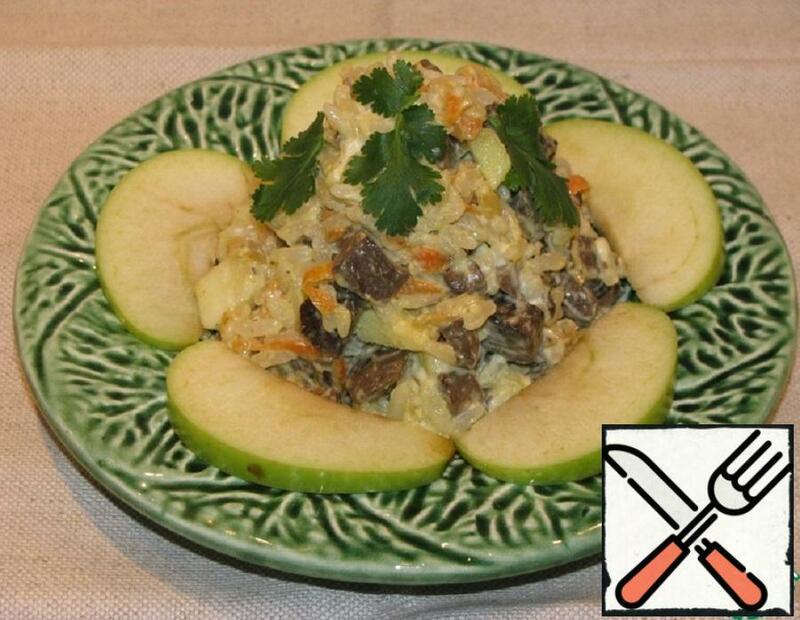 To prepare this salad we need: beef or chicken Liver, steamed long-grain rice, onions, carrots, small green apples. Cut the liver and onions, three grated carrots. Rice is boiled in salted water. 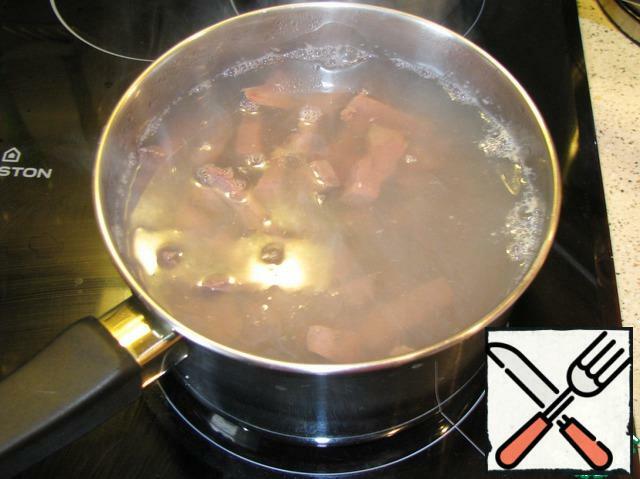 In boiling salted water, lower the liver and allow it to change color. It'll make a lot of foam. To foam was not in the salad. 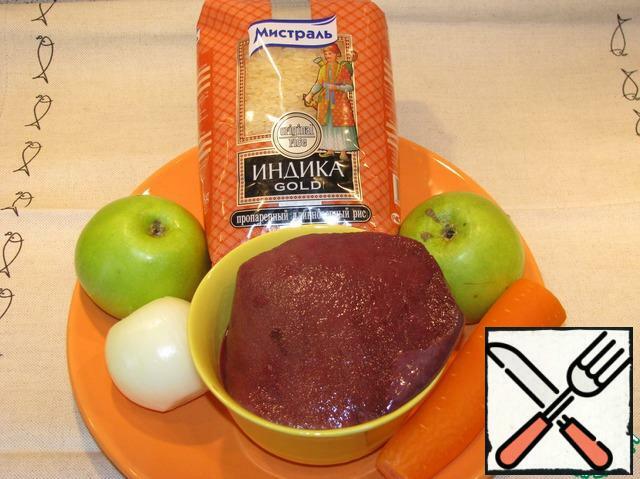 The water is then drained, and the liver is cut smaller. Fry onions and carrots in olive oil. 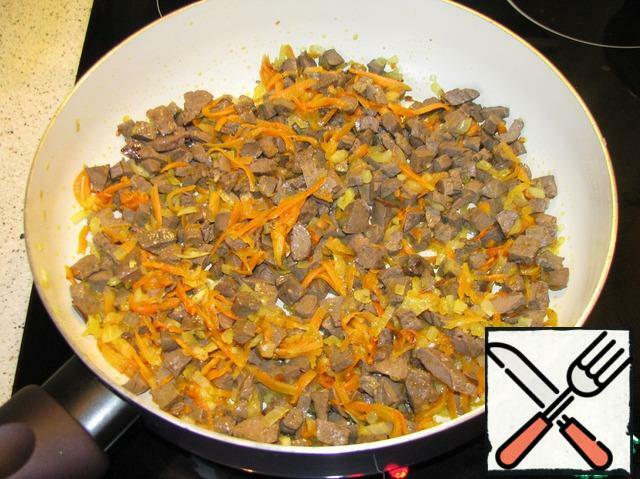 Add liver, salt, pepper and fry a little more, stirring. 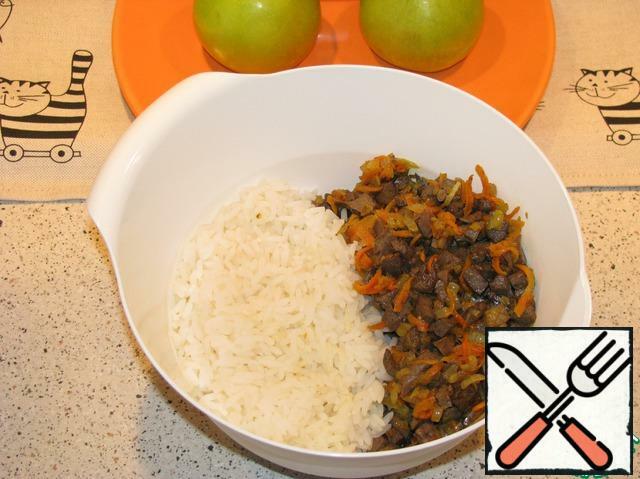 In a container for mixing put our zazharku, add boiled rice. 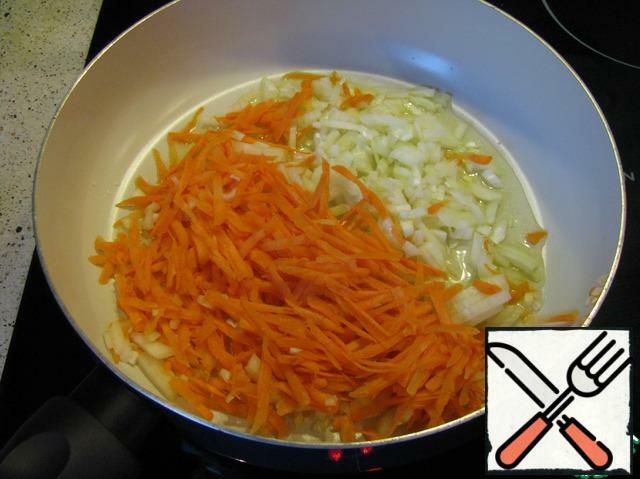 Stir and allow to cool. 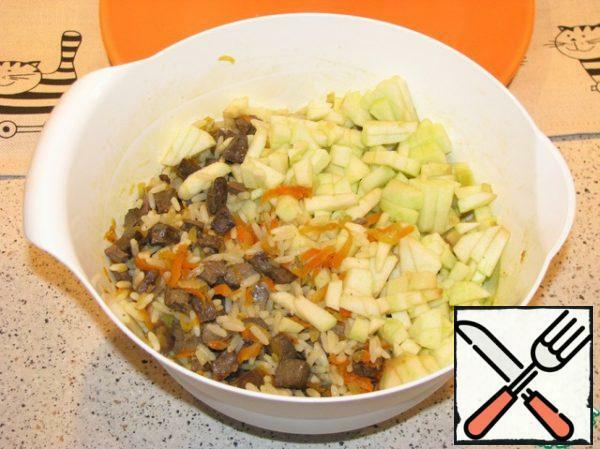 At this time, remove the skin from the apples, cut out the middle and finely chop. 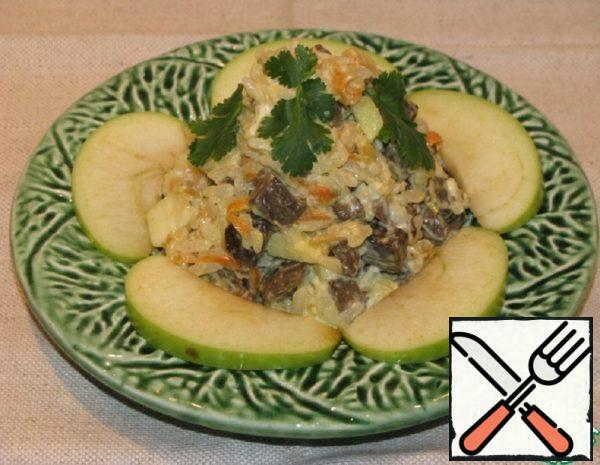 Then add apples to the liver and rice. Mix, season with mayonnaise, decorate with herbs.